House Bill 370 Require Sheriff Cooperation With Ice also makes it unlawful for any sheriff to prohibit federal immigration officials from entering or conducting immigration enforcement activities in a county confinement facility. “It’s just irresponsible for any official, particularly a law enforcement official, to in any way advocate releasing someone who is a criminal, who committed a crime, back out onto the streets, who should not even be here,” Moore said of the refusal to honor ICE detainers for illegal immigrants. H.B. 370 also allows any private citizen who resides in a jurisdiction they believe is not in compliance with the proposed law to bring an action for declaratory or injunctive relief to enforce its provisions and require cooperation with federal officials. Courts could also impose civil penalties up to $25,000 per day against any city, county, or law enforcement agency that fails to comply with federal detention orders. 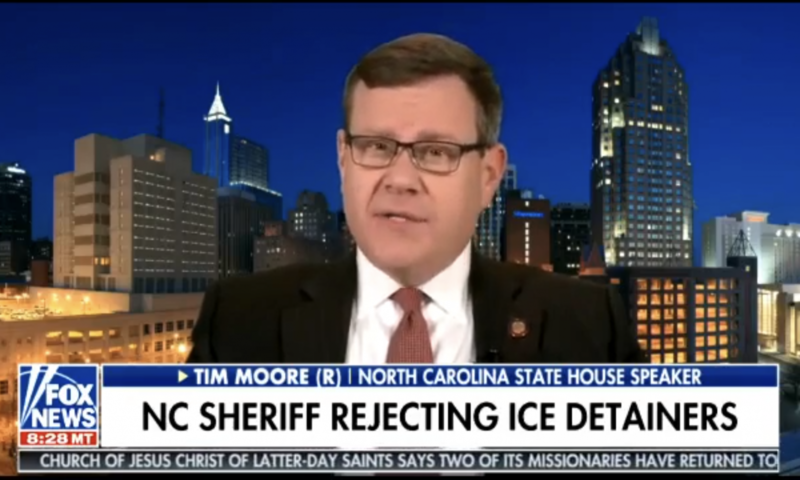 Currently sheriffs in Wake, Mecklenburg, and Buncombe counties – some of the largest jurisdictions in the state – are refusing to cooperate with federal immigration officials in the Department of Homeland Security. H.B. 370 is sponsored by Rep. Destin Hall (R-Caldwell), Rep. Brenden Jones (R-Columbus) Rep. Jason Saine (R-Lincoln), and Rep. Carson Smith (R-Pender). The bill is co-sponsored by state House Speaker Tim Moore (R-Cleveland). 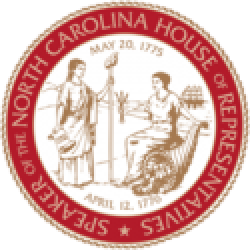 Rep. Hall is chairman of the House Judiciary Subcommittee on Criminal Matters as well as the House Elections Committee, Rep. Jones is the Deputy Majority Leader of the North Carolina House, and Rep. Saine is a Senior House Appropriations Committee co-chair. 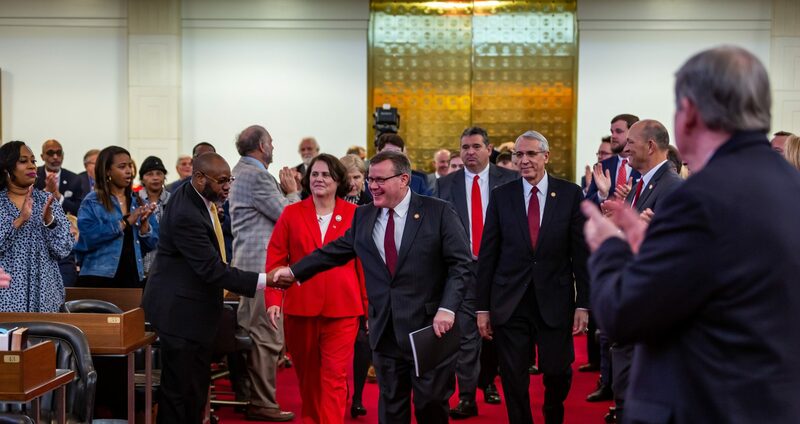 Rep. Smith is a freshman legislator who served sixteen years as the Sheriff of Pender County.